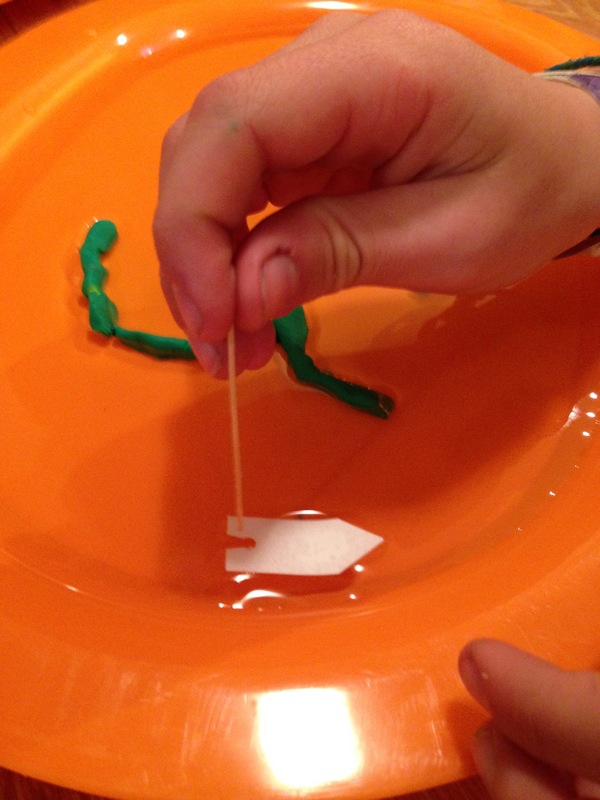 Float a paper boat in water, and drive it along with a drop of detergent, which alters the surface tension behind the boat. Make sausages out of the modelling clay, and secure them to the tray to make the walls of a track across the tray. Add water to the tray to fill the track, but not go over the tops of the walls. Cut out a flat boat from the cardboard. Cut a notch in the back of it. Place the boat at the beginning of the track. 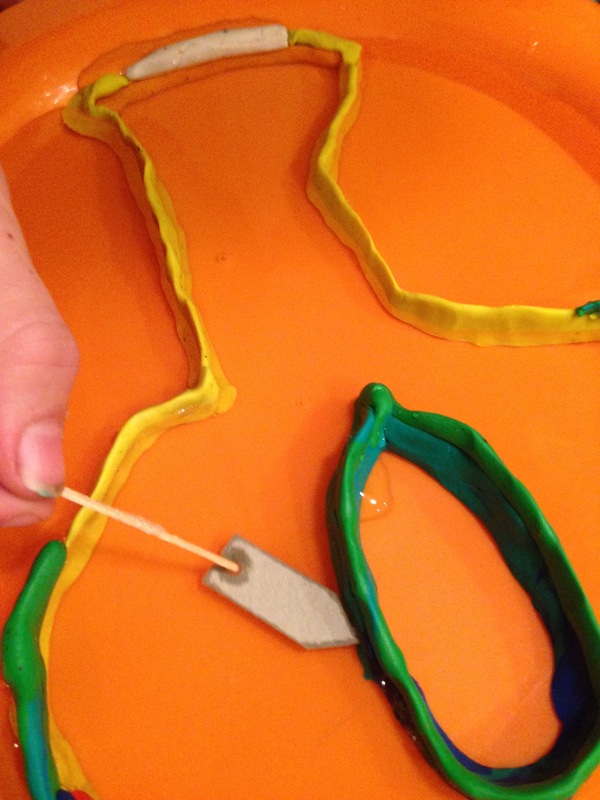 Dip the toothpick in detergent, then touch the water in the notch of the boat. It will move along the track. The boat will move maybe once more before the tray needs to be emptied and refilled with detergent-free water. Why does the boat move? The surface tension is lowered in the area where the surfactant is added, and the higher surface tension in front of the boat pulls the boat forward. As the detergent spreads through the water, it decreases the surface tension throughout the water, and the boat stops moving eventually because there is no longer a difference in the surface tension.